Some of the biggest highlights for the show were the incredible cosplay, famous car replicas, old & new comic book talent in Artist’s Alley, and the Star Wars Origami panel. Lines for talent like Len Wein wrapped around the table and down the aisle both days. The Star Wars Origami panel hosted by author of the book by the same name gave attendees a chance to make paper light sabers and Bobo Fett masks (some of the best SWAG of the show too). 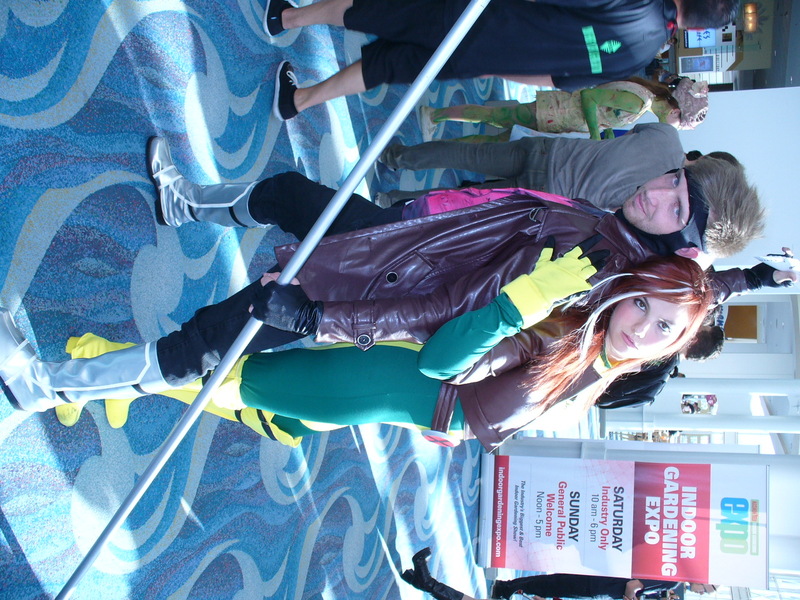 There was no shortage of cosplayers and the diversity of characters was vast. Some costumes were silly and amateurish while others were very detailed and over the top. Overall the attending the con was fun, but it could have been done as a one day show rather than two, similar to the Long Beach Comic Expo the staff also puts on each Spring. Long Beach Comic Con has always had a horror element to their convention and the time of year the con is held plays into the theme of being a horror show. Last year, John Carpenter made an appearance at the con; signing autographs and participating in panels. This year, cast members of Nightmare on Elm Street 3 were selling photos/autographs in the exhibit hall, the Collection film had a booth and hosted a panel to show six minutes of footage, and a movie called the Red House did a screening (the cast laughed at the “scary” movie more than the audience did). There was not much else in the way of “horror” content at the convention center. 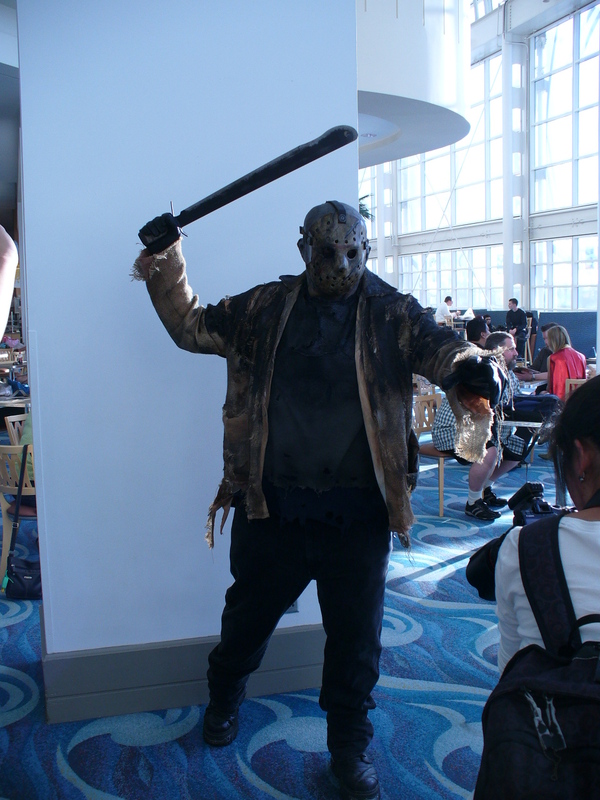 That did not stop cosplayers from taking on the looks of Freddy Kreuger or Jason; some of them were pretty legitimate. In terms of comic books at Long Beach Comic Con, there was a clear participation of comic shops, talent, and a few comic book panels going on. 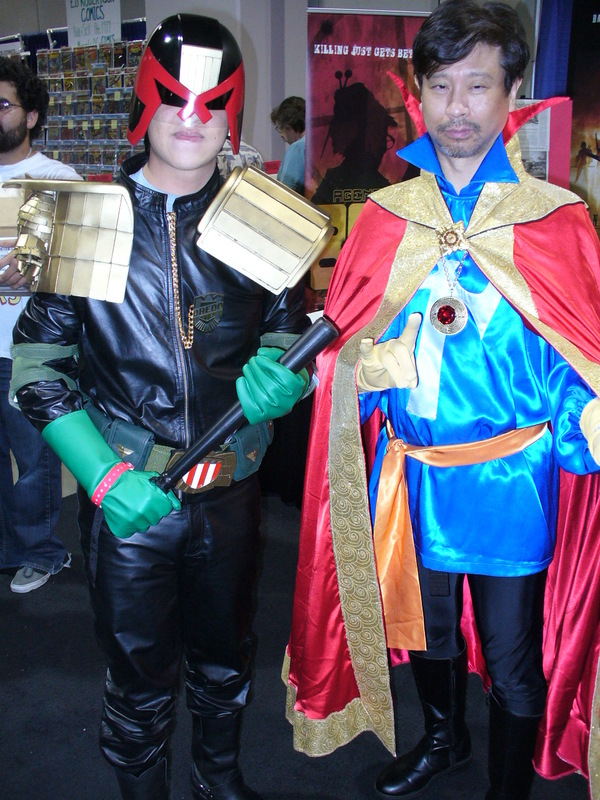 In the past, big names like Stan Lee, Geoff Johns, and Jim Lee have led the list of talent in the hall and on panels. Publishers would offer big discounts and sales. 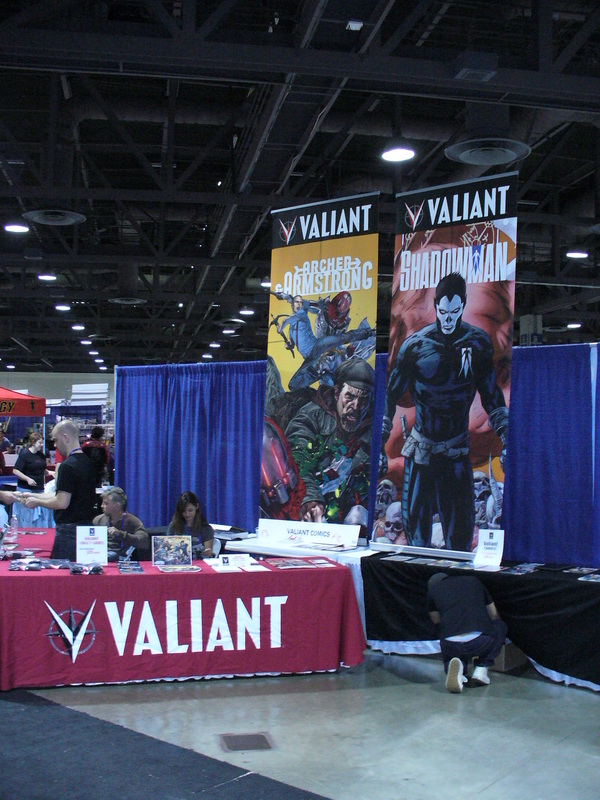 Long Beach was one of the last shows of the year so most exhibitors wanted to sell off what was left at the end of “con season.” Save for a few booths, the comic shops did not seem very enthusiastic to make sales or to have competitive prices. Nor did they have the spirit that one normally sees at a comic con. IDW, Aspen Comics, and Valiant had booths right inside the entrance but there was barely any noise coming from them to draw attendees to their booths. Is everyone just tired of “con season” and ready to close out the year? Artists and writers were all wearing smiles on Saturday and happily greeting each other and fans as they settled in for the weekend. The energy on first half of Saturday was great, but as the crowd grew and fewer attendees were stopping by booths the enthusiasm dissipated. And by Sunday, everyone on the exhibit hall floor seemed eager to reach 5:00pm. 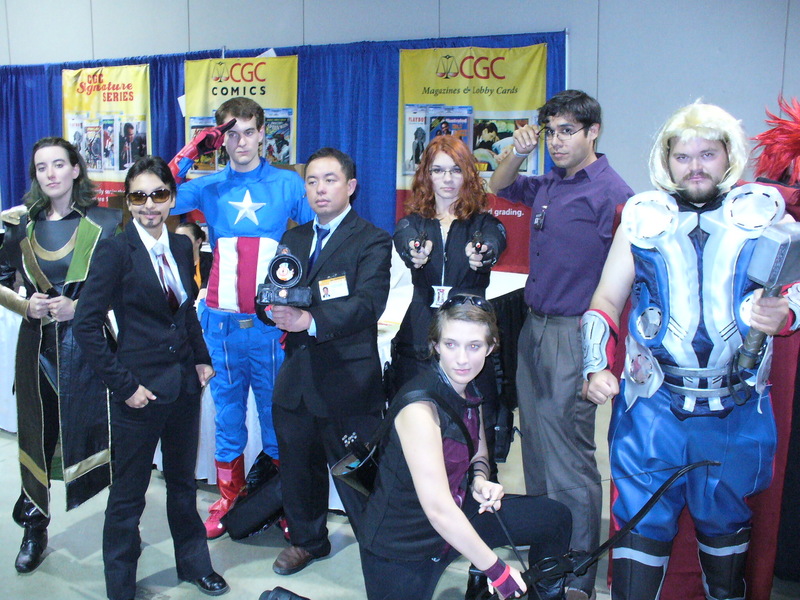 Even Hollywood seemed to have abandoned Long Beach Comic Con this year. Seth Green’s Robot Chicken and Felicia Day’s The Guild were big draws for fans in past years, but were no shows this year. A couple cast members from The Guild were part of a new web show booth this weekend, Save the Supers, but they received little attention. Thomas Jane who has been a star of the previous years’ shows and once screened his movie, Dark Country (which was made into a graphic novel this year) at Long Beach Comic Con played down his presence this year. Interesting additions to the exhibit hall floor this year were Chevrolet promoting their Chevy Volt and WSS Shoes promoting their stores (not actually selling shoes on the floor). Gone was the wrestling ring and the 501st Legion’s Laser Tag and NERF dart fundraisers were moved down to the exhibit hall from panel rooms. People were stopping at these booths but there was not a consistent amount of participation at any of them. Again, the show was fun if the attendees wanted it to be but seemed like it fell short of its reputation. In the past, three day conventions in Long Beach were fun and something to look forward to around Halloween. That holiday added to the amount of costumes and horror that gave the event more oomph. This year, the spirit and energy was missing. Few of the exhibitors showed much excitement for being at the show. Comic book publishers and the talent’s energy levels were hit and miss but most looked tired or disappointed by the show. The attendees still wondered the halls and floor with amusement, snapped photos, got items signed and some even bought some merchandise. Maybe it was an off year or just a long year, but how will that atmosphere get any word of mouth or other promotion for next year’s event? It was announced this weekend that in 2013 the show is going to be pushed back to the end of November (11/30-12/1) when everyone will be preparing for Christmas and the end of the year. As the winter holidays are closer does that mean less attendees, talent and exhibitors will be present. On the positive side of thinking, maybe the holiday sales prices will be better!